A few months ago I’ve bought some Romanian stamps to use them to illustrate one of the videos I’ve been making at the moment. 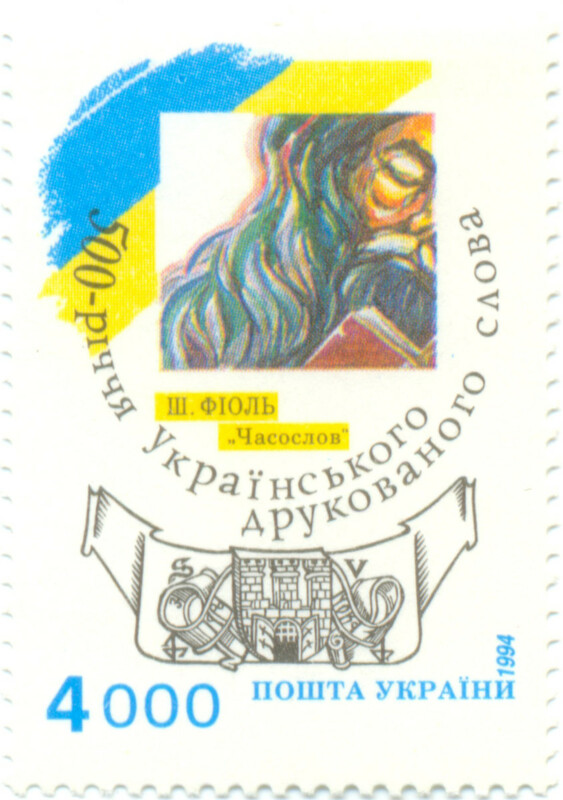 That brought my attention to the subject of book-themed stamps. Over the past months my collection was growing steadily and I want to share my progress with you today. 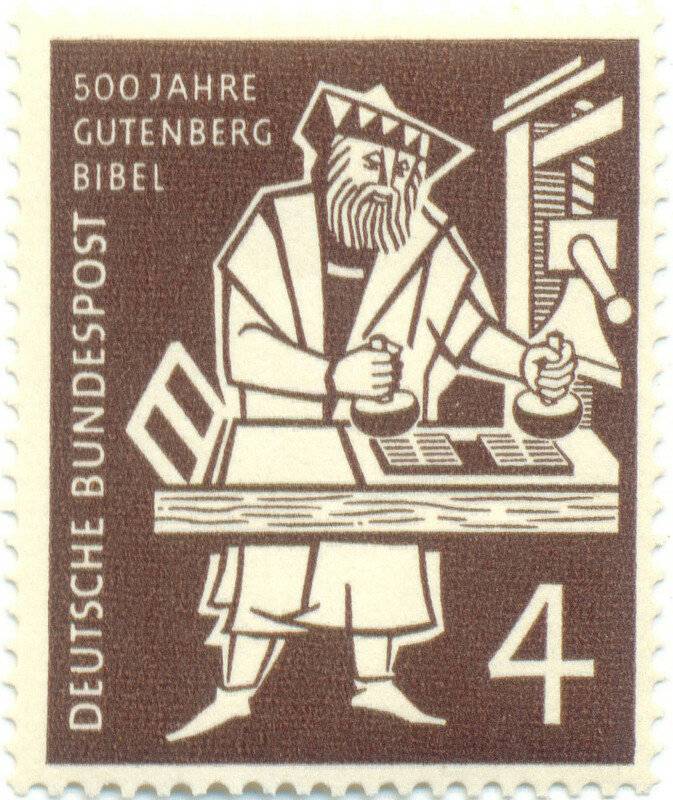 There’s also another category – stamps that have books as a symbol or even for no obvious reason. The latter may happen for reasons of propaganda, for example. The first stamp in this post appears to be not exactly a best fit to the subject. 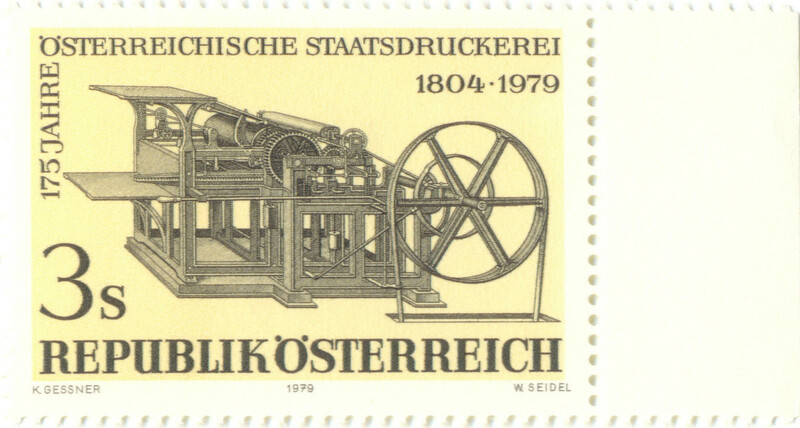 However, the Printing House does some things that are may be considered as books (like passports and stuff), and there is a printing press shown on this stamp. 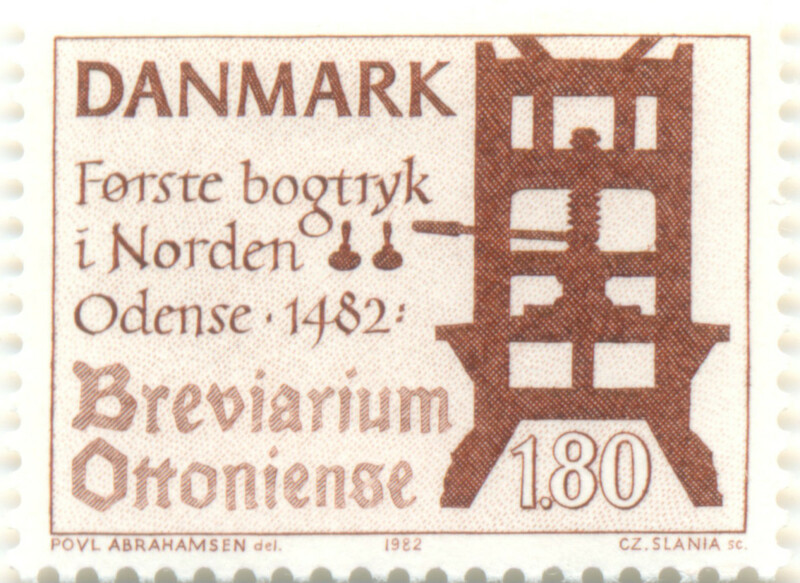 This set of stamps is one of my favorites at the moment. That simple yet beautiful style resonates with me very much. 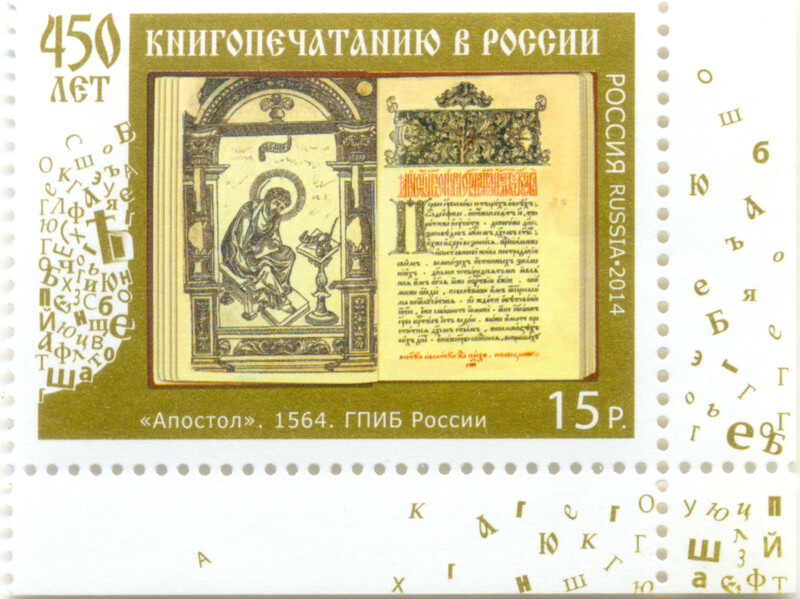 They were issued 20 years ago, and now 500th anniversary of book printing is celebrated in Belarus. I’m waiting for my friend to buy a new set of stamps to be issued on the 1st of September. Check this Wikipedia article on Francysk Skaryna for more information. 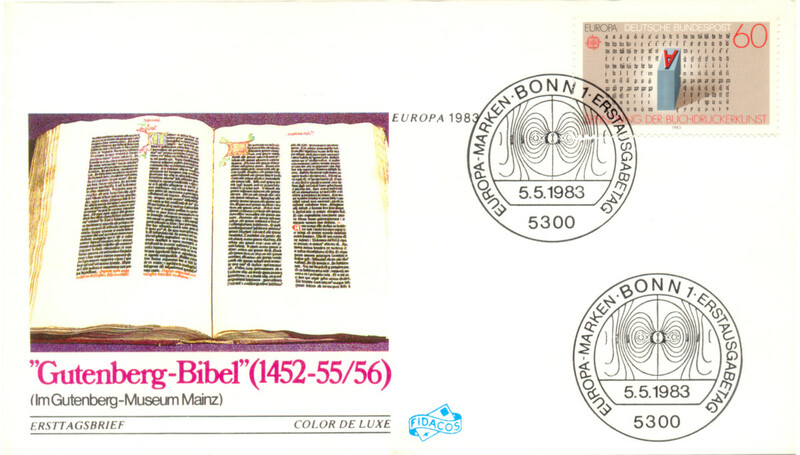 These stamps show different printing presses from collections of Belgian museums. 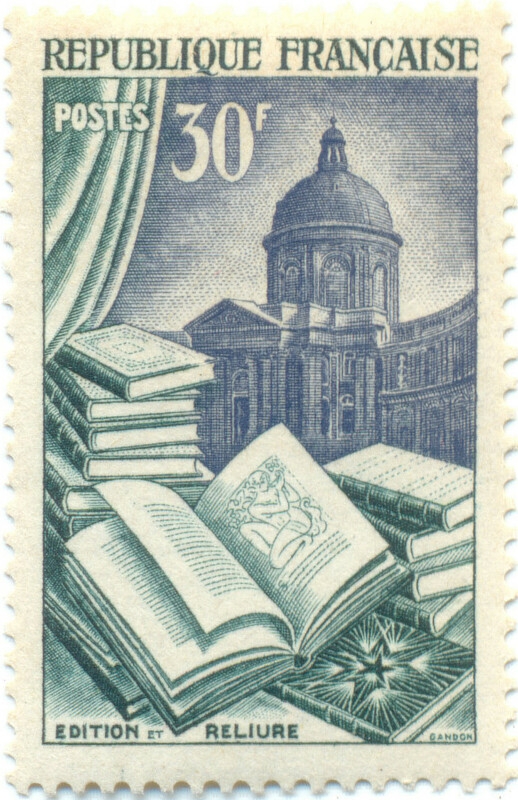 Once again a stamp related not to books as a technology, but as element of culture. Paìsiy Hilendàrski was a Bulgarian clergyman and a key Bulgarian National Revival figure. One of his famous works is Istoriya Slavyanobolgarskaya (Slavonic-Bulgarian History) that was written in 1762. This set was produced in collaboration with Hungary. One of the stamps is dedicated to the Rites of Zhou – ancient Chinese work on bureaucracy and organizational theory. 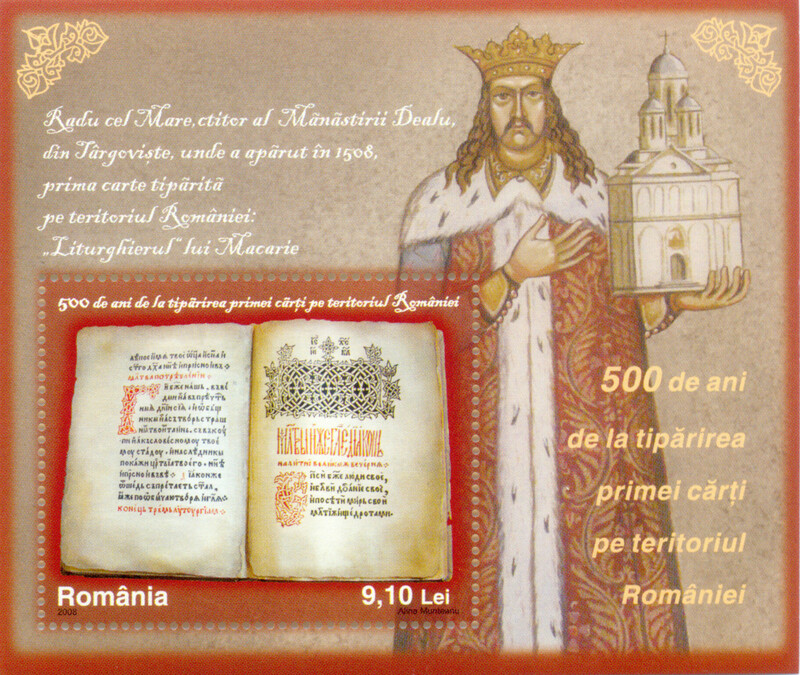 The second one shows Hungarian illuminated chronicle. 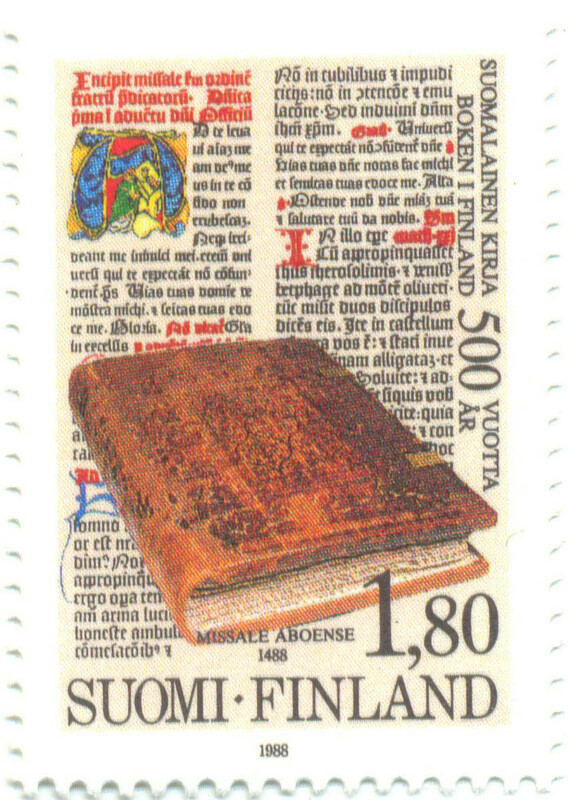 This stamp Edition et Reliure is part of a Deluxe Productions set. There are others like Tapestry, Haute couture, and Jewelry and Silverware. 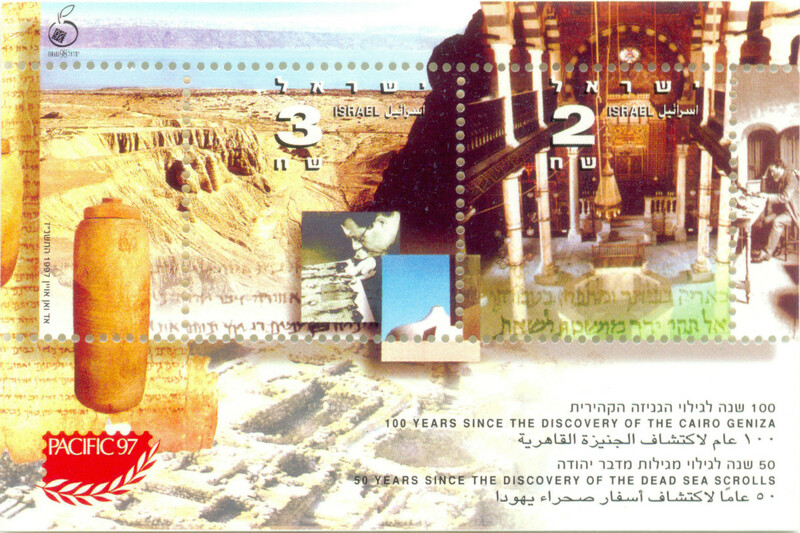 There are more first day of circulation post cards and envelopes with this stamp. You can see another in this post by Peter Verheyen. 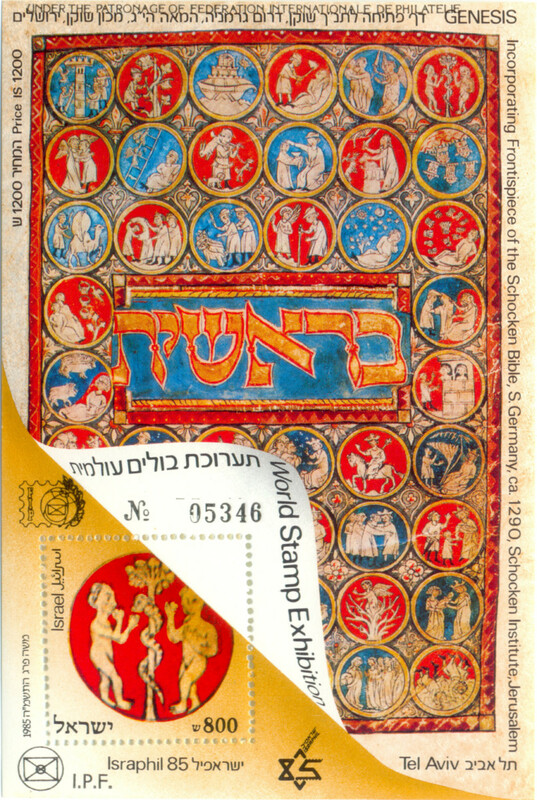 This stamp was issued for the World Stamp Exhibition Tel Aviv Israphil’85, and includes Frontispiece of the Schocken Bible, S. Germany, ca. 1290. The Cairo Geniza is a collection of some 300,000 Jewish manuscript fragments that were found in the in Old Cairo, Egypt. This finding is important both from historical point of view and as an illustration of bookbinding tradition of the end of the 1st millennium CE. 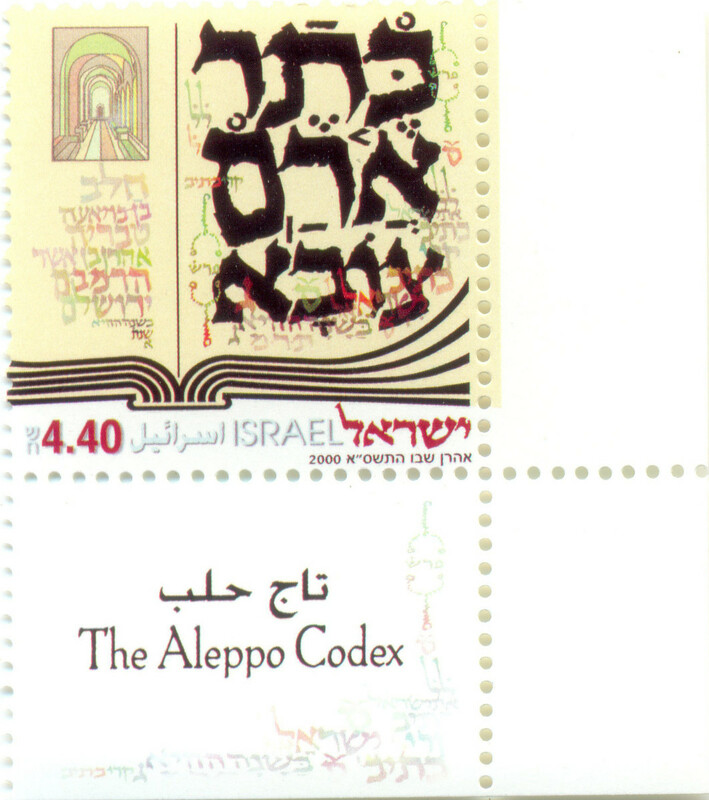 The Aleppo Codex is a medieval bound manuscript of the Hebrew Bible. 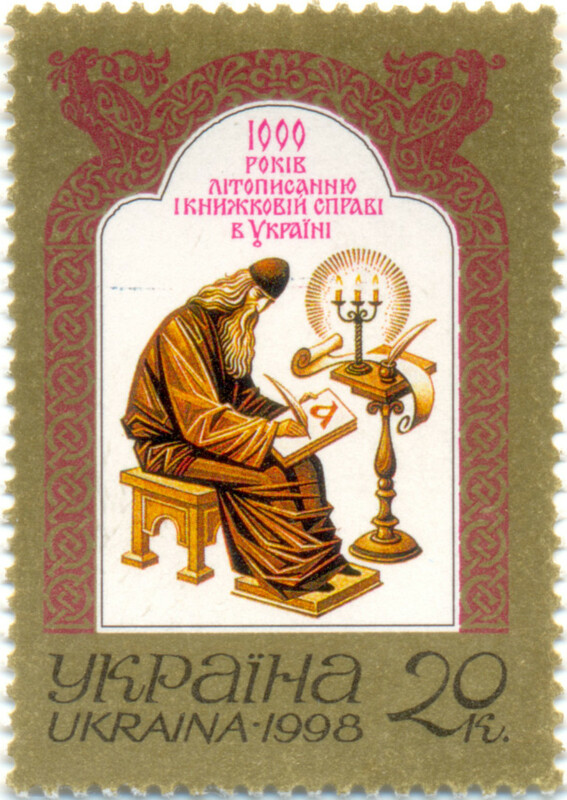 The codex was written in the in the 10th century CE. Here is a book history object that was created centuries before first books were bound. 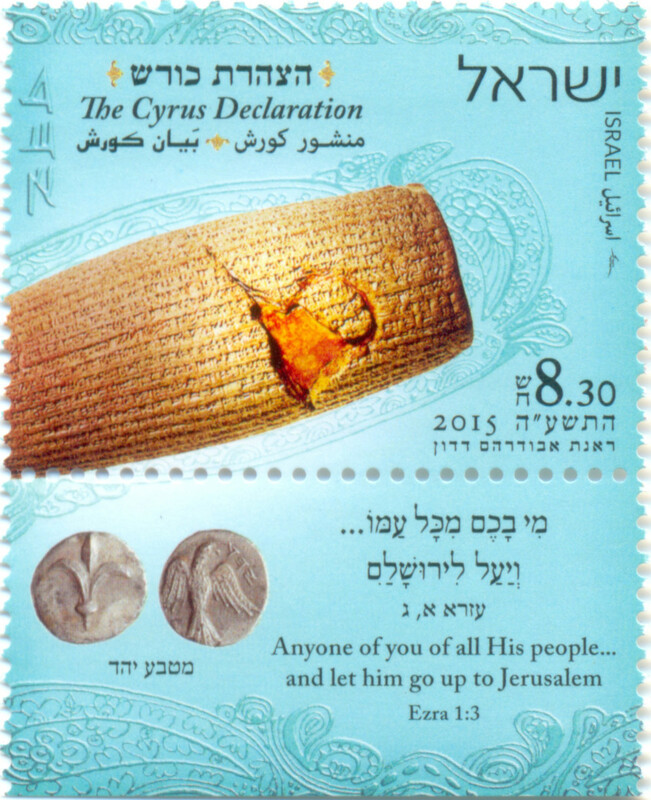 The Cyrus Cylinder is an ancient clay cylinder, on which is written a declaration in Akkadian cuneiform script in the name of Persia’s Achaemenid king Cyrus the Great. 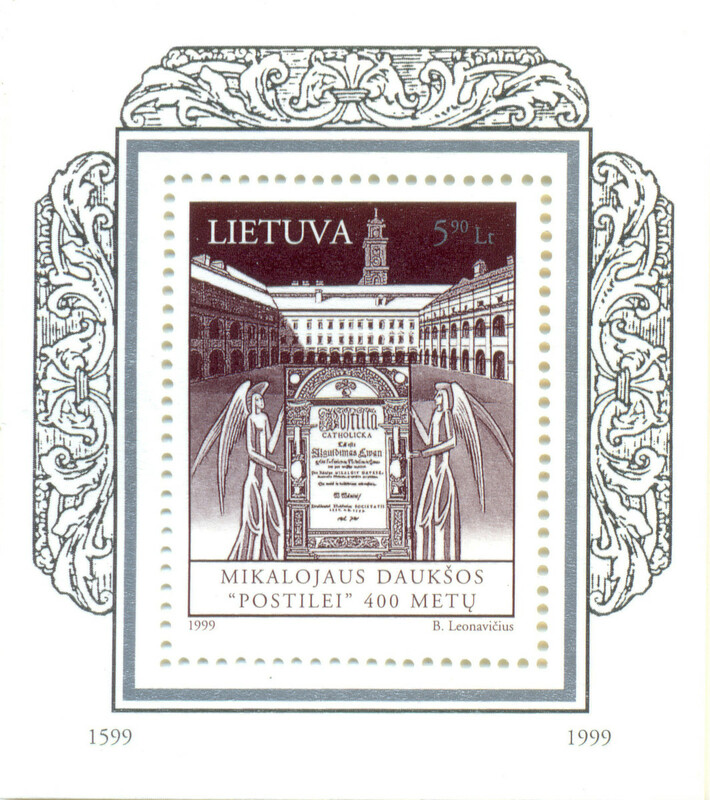 This stamp celebrates the first Lithuanian printed book – Catechism of Martynas Mažvydas. 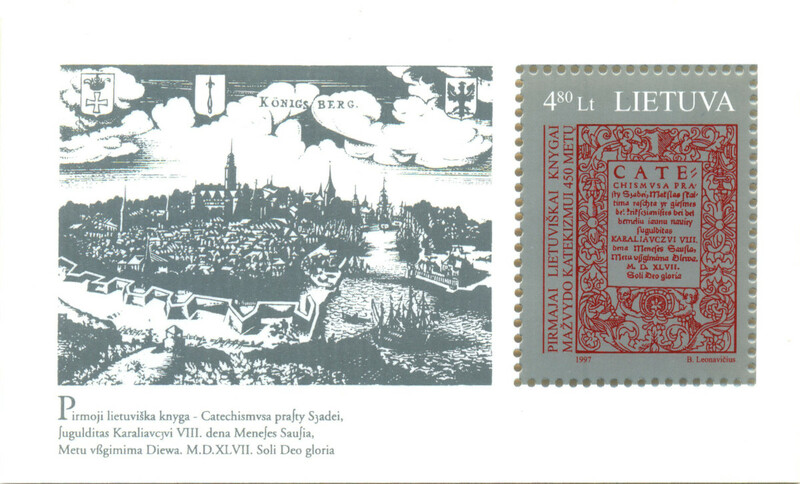 It was printed on 8th January 1547 by Hans Weinreich in Königsberg. 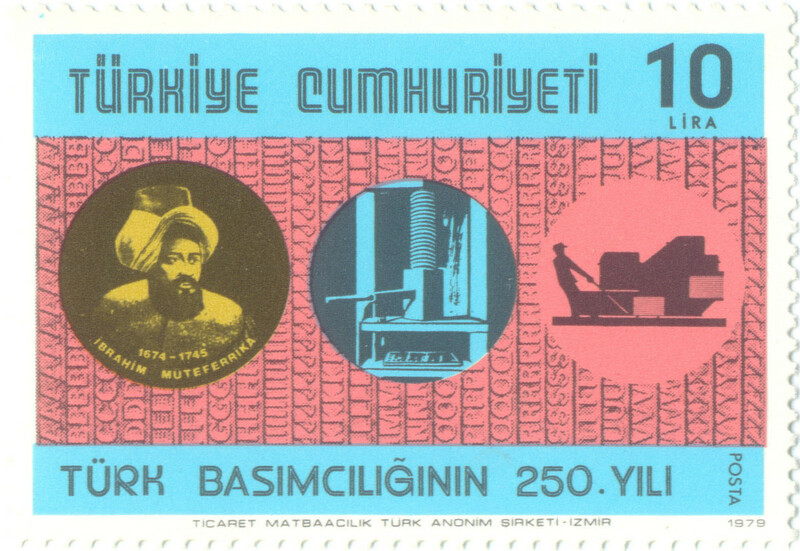 Stamps dedicated to different libraries are not a rarity. However, often if they even have books depicted, these are pretty faceless and uninteresting. This one here is something different. 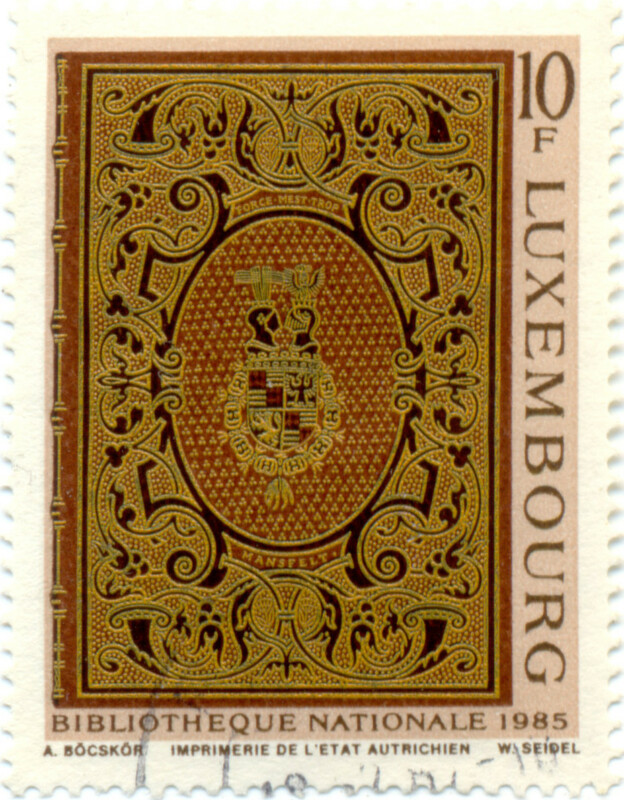 It shows a medieval binding from the Mansfeld collection kept at the National Library in Luxembourg. These are the ones that started everything for me. By the way. 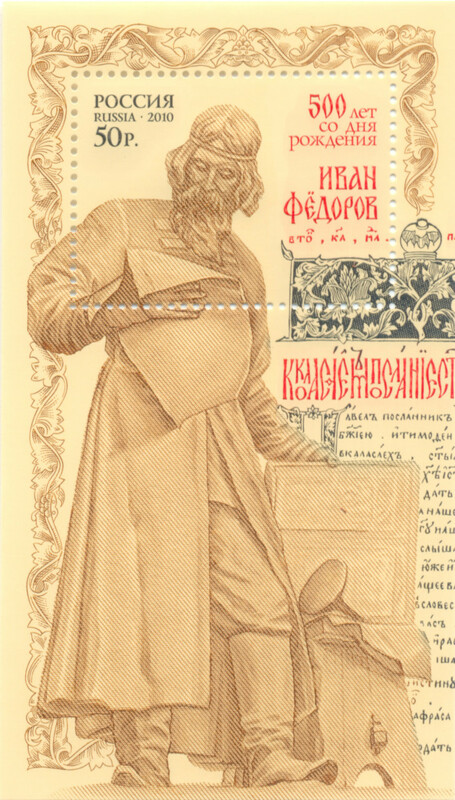 First Romanian printed book was one of the first Cyrillic printed books (check Russian and Ukrainian stamps below and stamps from Belarus above). I’ve bought this set only because it was at the stamp shop. Still, there are books here. 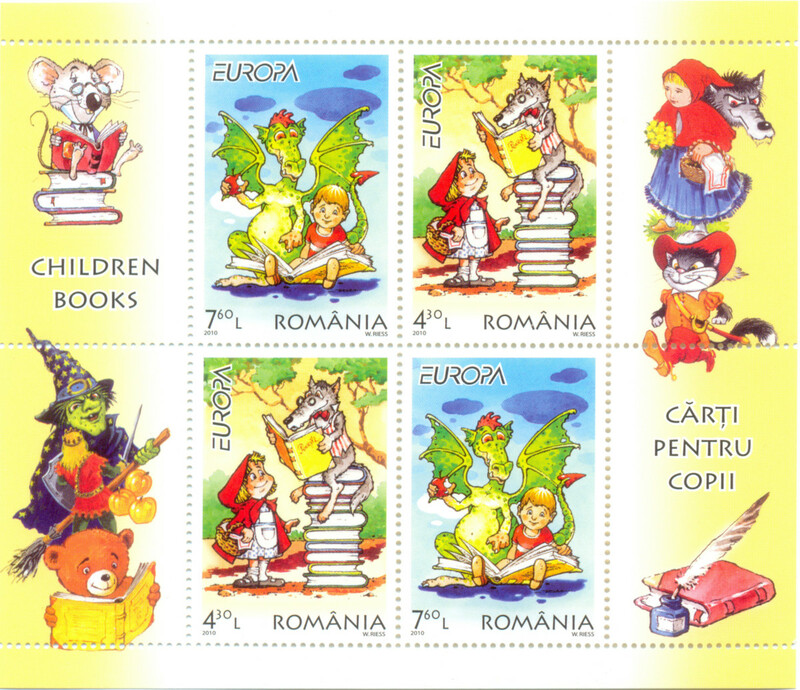 Book illustration and books for children is another large theme covered by stamps in lots of different countries. 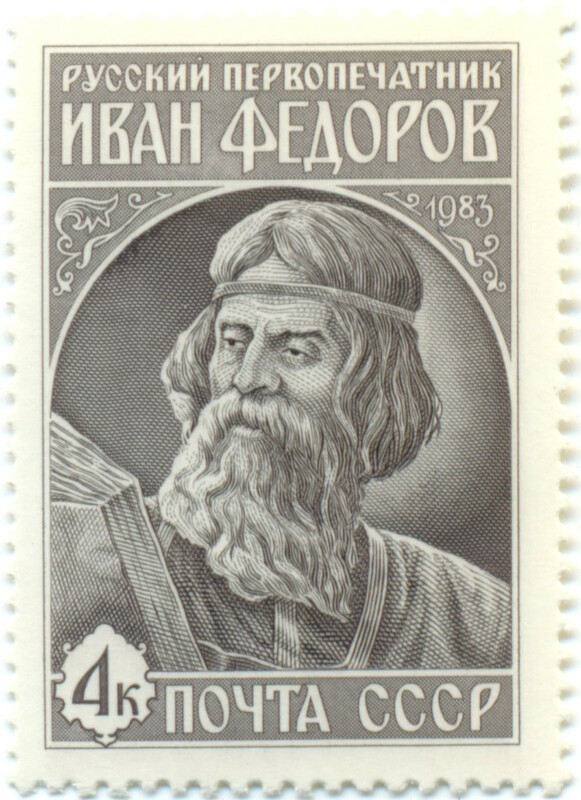 These two stamps are dedicated to 350th death anniversary of Ivan Fyodorov. 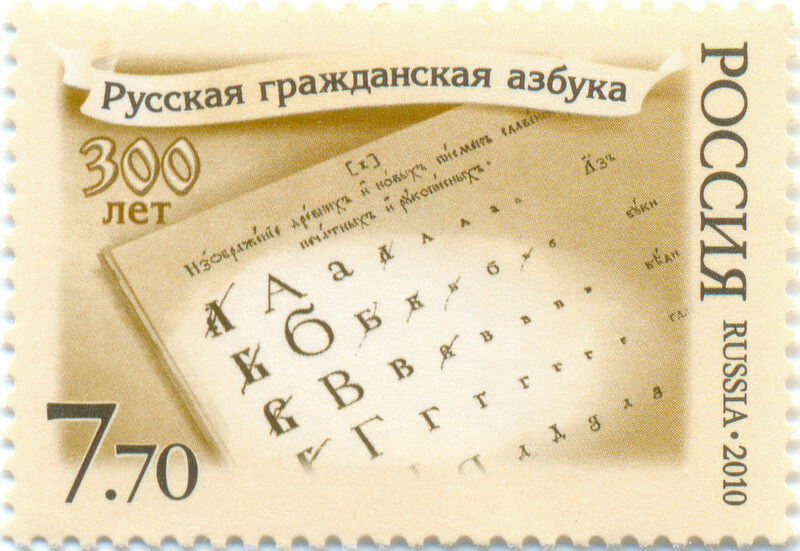 The new alphabet was introduced by Peter the Great. 8 letters were eliminated from the alphabet by 1750. 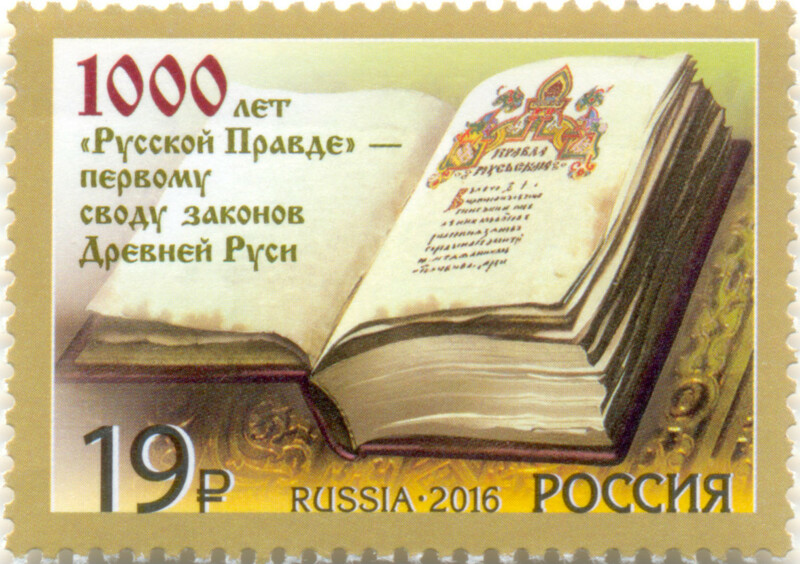 Oldest surviving copy of Russkaya Pravda dates back to the 13th century CE. However, the foundation of this legal code was laid in the 11th century CE. That’s a beautiful set of stamps!